Home Post What Makes The Ideal Family Car? 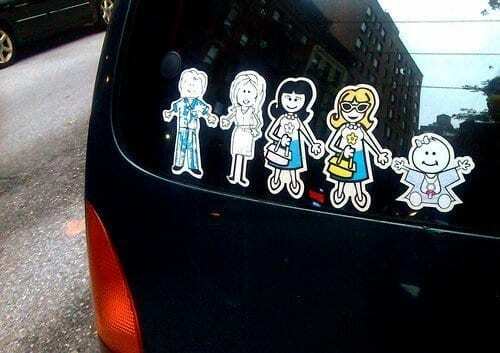 When I think of what an ideal family car is, my idea probably is not the typical family car! Still lusting after the Honda Civic Type R as my ‘ultimate’ car, it has been on my Christmas Wish List for years and still Father Christmas has not delivered on this. I do not believe I am asking for too much, alongside Tom Hardy wrapped up with a bow, but alas, I am still waiting. Having had my latest car for just over a year now, I am breaking her in ever so slightly more (yes, my car is a she!) and have figured out what she is capable of. Sounds ridiculous really but I swapped a more powerful car for a chug-along and she isn’t as ‘quick’ as I am used to. Not that I speed of course, I do not condone that! After my crazy summer, cruising around Manchester in ridiculously expensive, luxurious cars, I finally admit that I was somewhat jealous! The ability to have a new car on a whim, or every 6 months when a newer registration plate or version of the car was available would be amazing. To simply change your mind on which car you would rather drive and it be there on your drive in a flash. Companies such as Parkway Contracts make it easier for that to be a reality by offering contract hire and leasing. They do seem to offer quite a few family car options too, the more traditional family car option. Offering style, safety, space and great fuel efficiency. I think with car safety records nowadays, most cars are deemed worthy of a family car title. It simply comes down to how much space available there is in the boot! I am sure I emptied half the contents of my daughter’s bedroom from the car a few weeks ago, which will no doubt once again find its way back into the car. However, for now our family car is somewhat tidy and chugging on nicely!